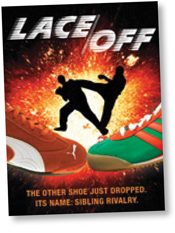 Who knew Puma and Adidas were born of sibling rivalry and brotherly betrayal? Rudolf and Adolf Dassler initially founded shoe company Dassler Brothers, but fears of being sent to fight in Poland and alleged Nazi aiding turned the two against each other. The company dissolved when Rudolf and several Dassler employees left to start Puma, and Adolf (nickname: Adi) was left with what would become Adidas. Oracle and HP had long been happy business partners — until Mark Hurd lost his HP CEO title last August after being accused of sexual harassment, and Leo Apotheker was named his replacement. 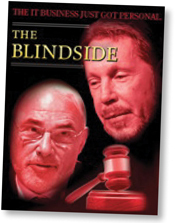 Oracle’s CEO bashed the choice, saying HP chose “a guy who was recently fired because he did such a bad job of running SAP.” Hurd was later hired as a copresident at Oracle; HP sued him for contract violations. 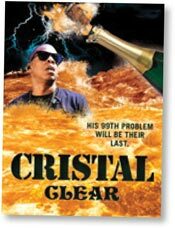 The musician turned mogul served Cristal in his nightclubs and included it in his rhymes. But when the managing director of Louis Roederer, the company that makes the Champagne, was asked if rappers’ preference for the bubbly was bad for the brand, he said, “That’s a good question, but what can we do? We can’t forbid people from buying it.” In response, Jay-Z got rid of all bubbly allegiances — even replacing “Cristal” in his lyrics. 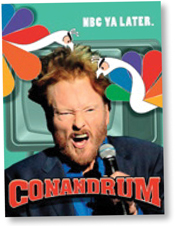 Conan O’Brien had just seven months to reign over the late-night kingdom before NBC told him he had to go as host of The Tonight Show. O’Brien came out on top, though: After Jay Leno took over the time slot, O’Brien went on a hit comedy tour leading up to the first season of his new show on TBS.